Assemble all the distinctive and inspiring quotations that illuminate our lives with Quotation Journals from Monk Papers. Quotations from learned personalities have time and again proved to provide us better understanding of a situation. They stir us up, they inspire and educate. So, bringing them all together and keeping them safe with you is definitely worth it. 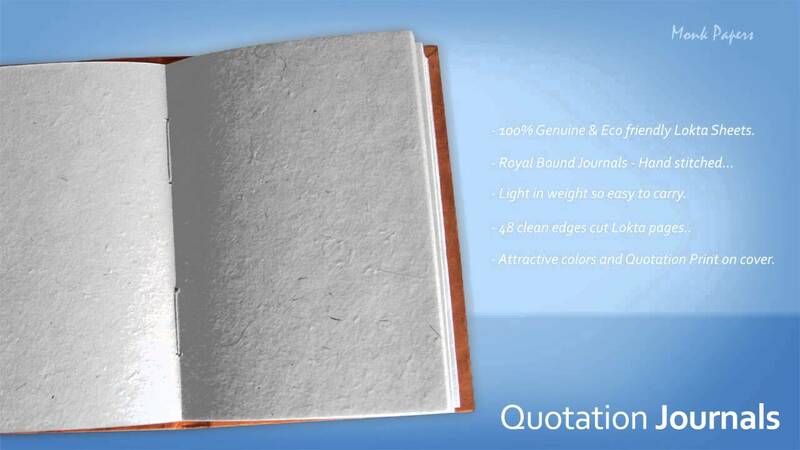 These personal hard cover quotation journals come in noticeable contemporary colors. Slim, light and solicitous, these journals are ideal for carrying along or will sit pleasantly on your office desk or bedside table. Either way, it’s just the right kind of diary that will keep your personal progress on track. Available in various colors.